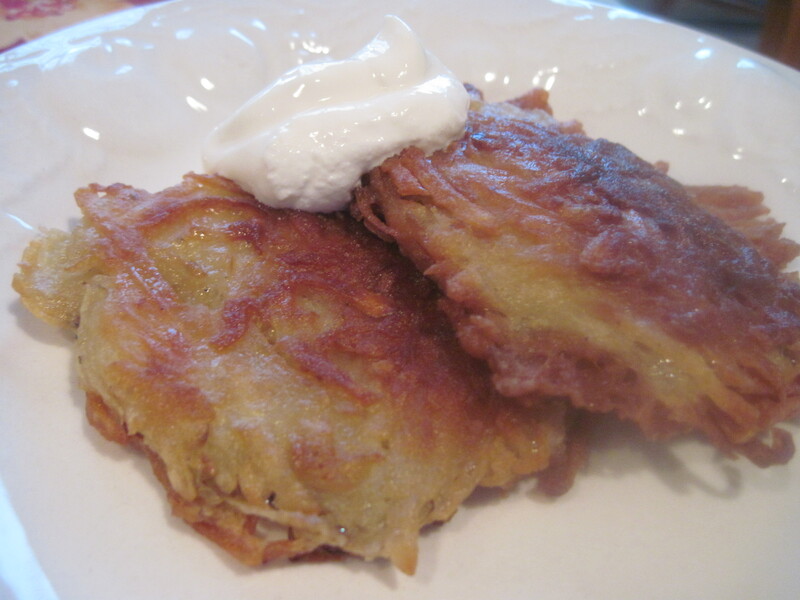 My husband is famous for two recipes, Ray’s Famous Flap Jacks and Potato Pancakes. He loves to make them and will every weekend if there are any takers or potatoes! If you know our family, you know that hubs loves to buy 50 pound bags of potatoes, you win the prize if you can tell me how many potato pancakes that would make!! Here is the recipe that he likes the best! For perfect results! Peel and grate potatoes, we use a cuisinart grater, Drain off any excess liquid with paper towels. Mix in egg, cream, salt, and black pepper. Add enough flour to make mixture thick. Heat 1/4 inch oil in the bottom of a heavy skillet over medium high heat. Drop two or three 1/4 cup mounds into hot oil, and flatten to make 1/2 inch thick pancakes. Fry, turning once, until golden brown. Transfer to paper towel lined plates to drain, and keep warm in low oven until serving time. Repeat until all potato mixture is used.